A unit of mercenaries must team up with a group of tech-geek students after America is struck with an EMP attack. Deep in the desert, they find the source of the terror, a mad scientist who has also just created a living dead T-Rex dinosaur, one who turns everyone it attacks into a zombie. 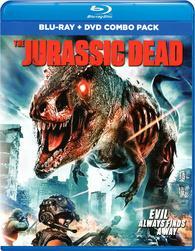 Now they must scramble to stay alive and save the planet from the ultimate undead predator.